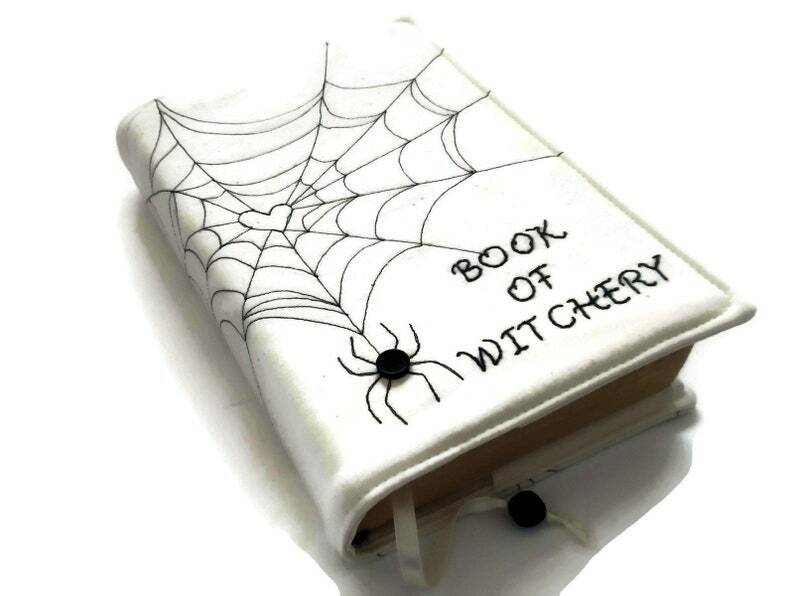 White Witchery handmade fabric book cover with embroidered spider web with a little spider made of cotton fabric. The diary cover is machine-sewn. This white book cover has a short hand stitched inscription:"Book of Witchery". Please Note: Beads, Button and Pattern placement can vary slightly from the photo shown, because each cover is made from different parts of the same fabric.